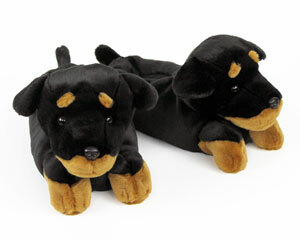 With a pair of German Shepherds on your feet, you’ll have the most adorable guard dogs on the block. 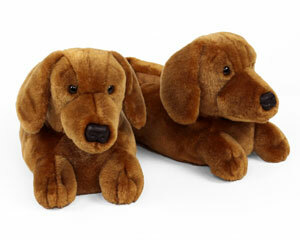 Warm brown eyes, pointed ears, and a multi-colored coat capture the look of this beloved breed. 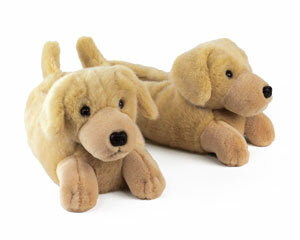 These cute and cozy doggies are made with soft plush uppers, a cushiony foam footbed and non-slip grips on the sole. 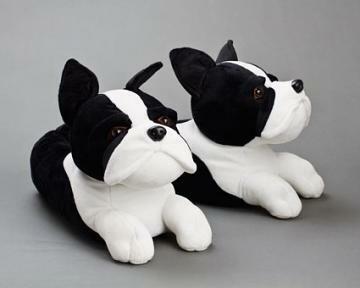 I love these slippers! Soft, warm and comfortable. Just wish my dog didn’t think it was a plush toy! I do wish it came in different sizes, though. They’re a bit large but I’m able to wear them without slipping out. I wear an 8.5. Much cuter in person. Size was perfect. My husband loved them. These are well made and adorable. 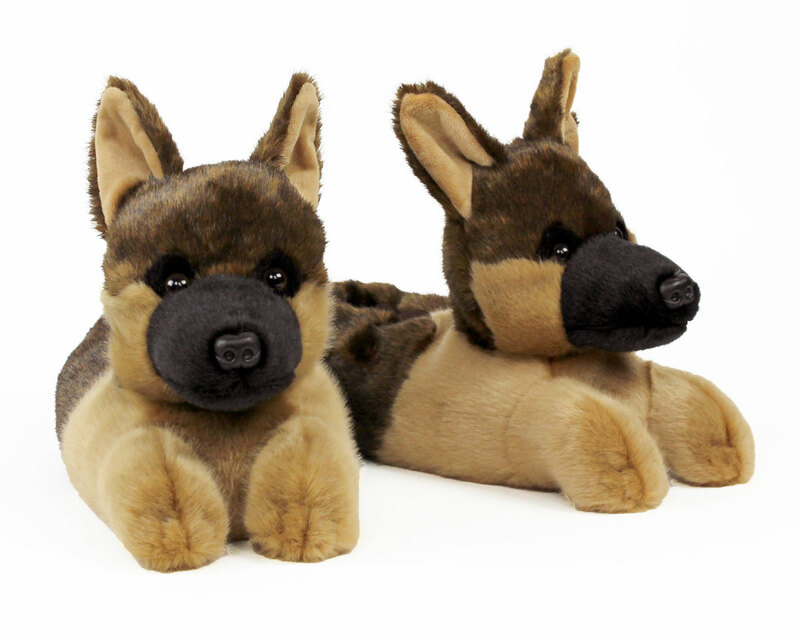 Great gift for any german shepherd lover. 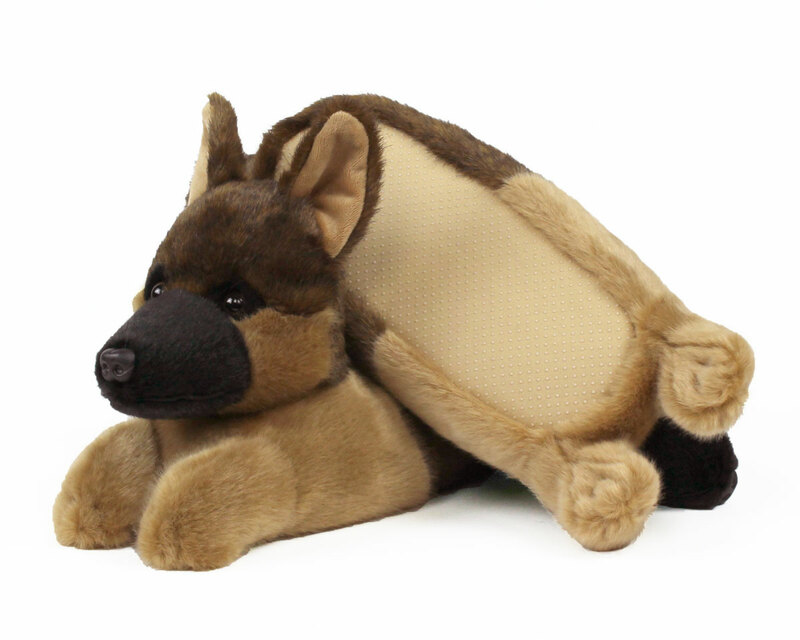 First of all, I am not getting paid to say this,i ordered the german shepherd slippers for my 23 yr old daughter,who Owens a shepard. When I received my order,which was really fast! I was so... happy,because I knew she was going to love them, and I was right,she absolutely did.The fur looks so realistic! she put them on right away! Great purchase!!! Lucky for me/ her, she has big feet, size10 women so they fit perfect! 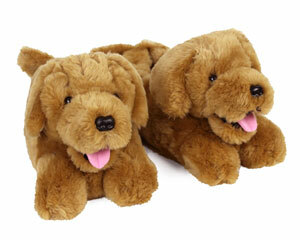 I bought the slippers for my daughter as a reminder of home and our German Shepard Valkyrie. She is away at college. They are just perfect. Advantages: Great quality and price. 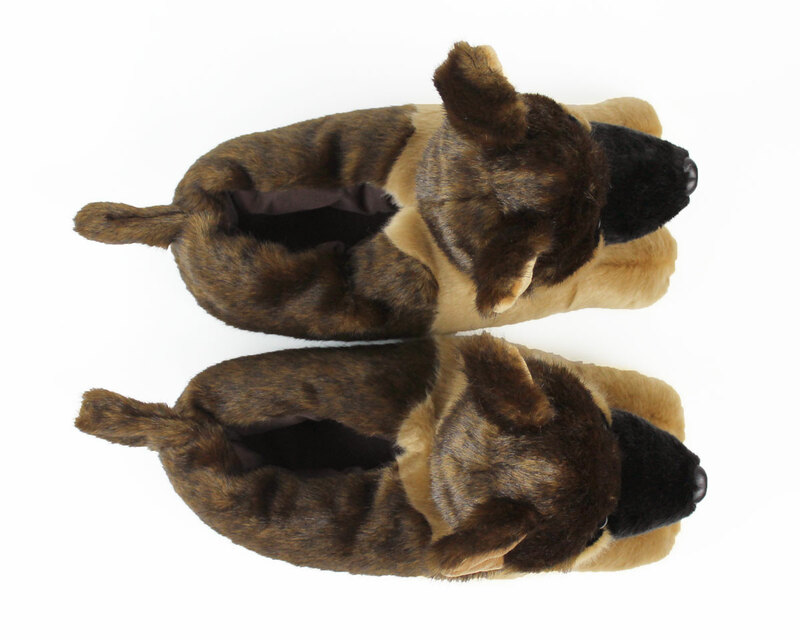 Love my GSD slippers. Great fit, warm.